Next thing you know, your Listing Agreement has EXPIRED and still no Offer. AND to make things worse, you are now getting hit from all sides by other REALTORS who want you to re-List with them. You are left worn out with the whole process! That story plays out everyday in our area. On any given day, we have 75 to 80 Listings that EXPIRE or get CANCELLED. That's over 2200 or more Listings per month - and the same number of frustrated Homeowners. You are not alone. Your home means a lot to you and your Family. You've put your heart and soul into it. It's natural to be a little emotional when it comes to the value of your Home. It is emotional for a Buyer as well, they want to feel they are making a good decision. There are actually 3 components to Pricing: (1) what the Seller wants, (2) what the Buyers are willing to pay and (3) what the appraiser can justify! Think about that for a second. Pricing is the most important aspect in selling your home - it is your main Marketing Tool! Was your home over-priced for the current market? Did you price your home a little HIGH with the plan to reduce it later if you didn't get an Offer (testing the market)? I mean, you can always negotiate DOWN - you can't negotiate UP, right?? No. Not Right! This is almost always a LOSING strategy, EXCEPT in an incredibly hot Seller's Market (think 2005 - 2006). Homes priced HIGH from the beginning typically keep potential Buyers from Offering and even looking at your home, especially early on. The first 9 to 14 days are absolutely crucial for any New Listing. If priced too high during this time, you are likely keeping solid Buyers from Offering (most won't Offer a more fair price - they don't want to offend the seller) and if very high Buyers/agents won't even come to look at it. By the time you lower the price those Buyers have moved on - and new Buyers coming in to the pool may be wondering why it hasn't sold yet. Talk with your REALTOR about pricing your home "correctly" from the beginning so that you can maximize the number of solid, serious Buyers coming through the door - THAT is the key to create an environment for multiple Offers (that raises the average Offer value). Too HIGH and they stay away, too LOW and you get too many looky-loo's and Buyers wondering what is wrong with the place. If the whole idea is to get the Buyers in the door, then your home better look like something a Buyer would be proud to call home. Gone are the days when a REALTOR could simply take few pictures, write a few words of description and slap a Listing into the MLS and pray that another agent had a Buyer ready to go. That kind of Marketing Plan is another Losing Strategy. Heck you've seen those homes all over Zillow right?!? There are plenty of ways your REALTOR should be marketing your home, especially if you want to get it sold quickly at maximum value. Over 90% of Buyers start and continue their home search on-line. Buyers are shopping with the Wallets AND their Eyeballs. Those picture better look bright, clear and "real" and that Description should highlight the Lifestyle afforded and NOT just a list of bedrooms and other features (I can see those in the pictures!) - tell the Buyer WHY she needs to have THIS Home. Social Media is another way to gain massive exposure. Facebook allows a post the potential to go "viral" - you know the saying "she told two friends and they told two friends..." and Facebook ads can give a REALTOR to buy exposure to a carefully targeted group of potential Buyers in the area. Also keep in mind that a successful REALTOR maintains a database of past clients and potential buyer leads. And do not disregard the importance of marketing to other REALTORS. Your agent should be communicating with fellow agents through phone calls and targeted email campaigns. Nor should you forget about direct mail to your surrounding neighborhood - I mean there a lot of people who would like to "pick their own neighbors", family, friends, etc. Countless Sellers tell me "If the Buyer doesn't like it, they don't have to buy my House", or "I'm not going to spend a dime - the house comes As Is". Unless Buyers are desperate for homes, that Mindset is also a Losing Strategy. If at all possible it is imperative to address those "obvious" issues that will decrease the Value or detract from the Desirability of your Home in the eyes of a Buyers. As I mentioned above, Buyers shop with their Wallets and their Eyeballs. But they also shop with their NOSES. Here's what I mean - you have succeeded in getting Buyers through the House BUT if there are bad odors, Buyers are not going to be very concerned - they just aren't going to have enough time or professional expertise available before they make an Offer. If I didn't know I could get rid of the odor... I WOULDN'T BUY IT and move my Family in - would you? And Buyers don't normally take the word of a Seller on these things. Remember odors don't show up in Pictures. Also, most Buyers are not "handymen" and even if they are, do they really want to walk into another group of potential Projects? Probably not very many. Buyers are thinking that for several Hundred Thousand dollars should buy some peace of mind. Of course when they are Sellers, they think differently. Hmmmm, funny how that works. In order to maximize the Value of your Home and sell it in the quickest possible Time, it is imperative that Buyers are not distracted by "obvious" Repairs that need to be made UNLESS YOU DISCOUNT THE PROPERTY (sometimes not even then). In addition to bad odors, we see damaged or dirty flooring, rusty faucets, dog damaged doors, broken windows, water stained ceilings, holes in walls, dirty appliances, dirty windows, grimy kitchens & baths, and curb appeal items - these are the SIMPLE "obvious repairs" that a Seller should consider BEFORE they bring the house to the market. Look, a home inspector is always going to find things wrong anyway - no house is perfect and their job is to report that. What a Seller should want is for Buyers to walk though the house and feel good about it. If they are staring at some of these "obvious" repair items, you know they are wondering "well if that is wrong, what else is wrong that I can't see". That is Human nature! If I can show you how to invest $500 in repairs to make the house sell 30 days quicker -or- invest $3200 in repairs to gain $15,000 in value -or- invest $15,000 in repairs to gain $50,000 in value -or- invest $27,000 in repairs to gain $72,000 in value - would you consider it? These are all actual examples from real Clients (you can call them!). Oh by the way - sometimes it costs next to nothing, and we always have the right contractors and trade references to make it happen. Every day your Home sits "For Sale" means you pay the Bank the same number of days Interest and the longer it sits, the less it is worth in the eyes of the public - that's money out of your pocket for NO REASON! The Agent You Hire REALLY does Matter!! Look, most REALTORS will say anything to get a Listing. They will even tell you or agree with you that your Home is worth more than it REALLY is - we see it every day, we have lost more than one Listing this way. REALTORS are NOT going to take the time to go through THE 3 REASONS HOMES DON'T SELL nor will they go through the Strategy of PRICING as a TOOL to DRIVE MULTIPLE OFFERS - frankly they don't understand it! Their Strategy is to Secure the Listing and then keep reducing the Price until it sells. That is NOT Honesty - you get left holding the bag on an unsold property or getting a reduced value beacause it sat too long. Our Strategy is to Secure the SALE at the best price and shortest time possible, and gain a lifelong relationship with a satisfied Client - it's that simple. Are you having issues with your current REALTOR or have you had issues with past REALTORS, and are wondering about the Reasons Homes Don't Sell? 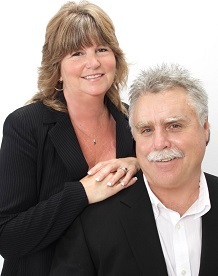 Then give Steve and Toni Parker a call to find out how our Marketing Strategy gets homes SOLD FAST - our average time is less than 23 days - and for TOP VALUE!